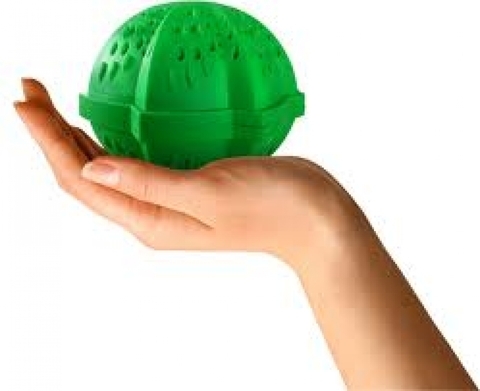 Simply place the ball together with the laundry in the washing machine. Always follow fabric care label instructions and pre-treat clothes with a stain remover if necessary. Never overload the machine. 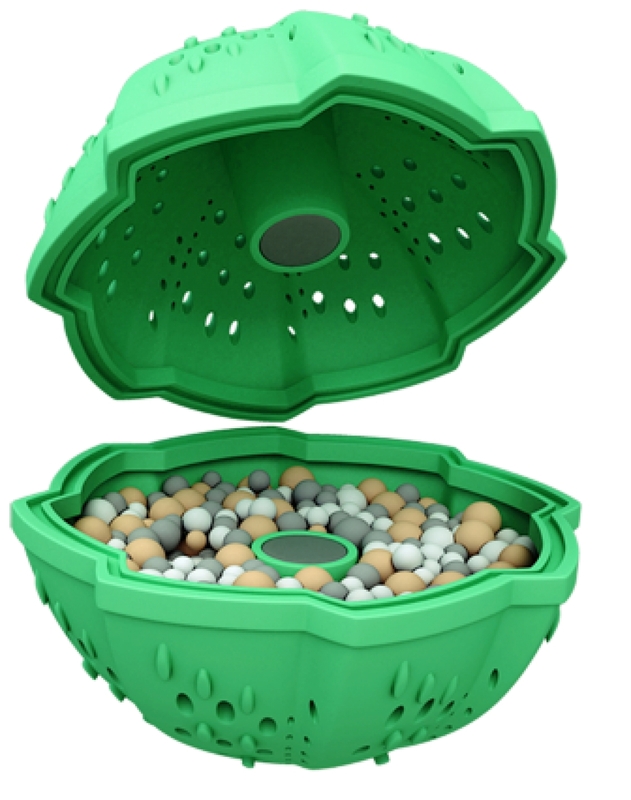 We recommend a 3/4 load as the laundry ball must be allowed to circulate freely in the water between the clothes to achieve the best results. 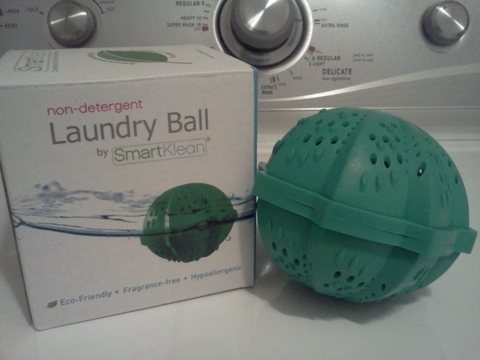 It’s not necessary to remove the laundry ball during cycles and it can be left in the washing machine ready for next use. The only maintenance required for the laundry ball is to bathe it in sunlight every month or so for a couple of hours to regenerate the ceramics in order to keep them working at full force! Sunlight is the quickest way to remove the moisture content of the ceramics. However, placing the ball in a dry area inside the home will also work (longer dry time required). View this chart for more information. Important Note: Keep your washer clean! 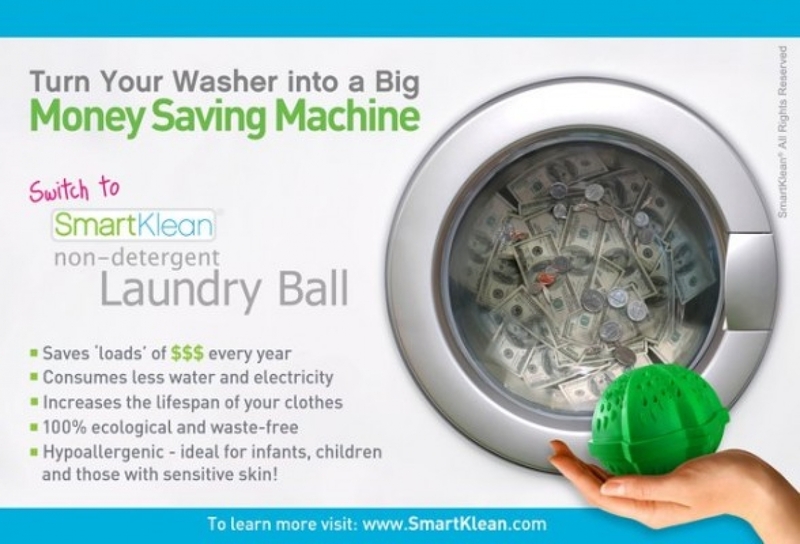 Before using SmartKlean, most people use soap or detergent. Soap residues get stuck to the soap dispenser and to the inside of the pipes in the washing machine, causing them to clog up slowly and cause mold. This can cause dark stains or unpleasant smells in laundry. 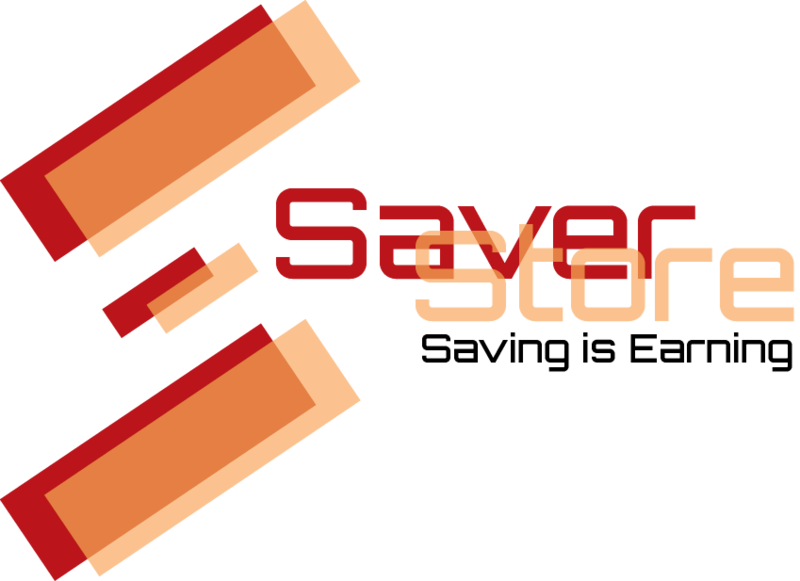 The smell and chemical stain removers of your detergent disguised this. To clean out your washing machine, we recommend a 90-degree wash with an empty drum, putting two cupfuls of white organic vinegar in the soap dispenser. White organic vinegar is good for cleaning and removing soap residue deposits. Organic vinegar is antibacterial and does not foam in your machine. If you do this regularly, your machine remains in top condition. 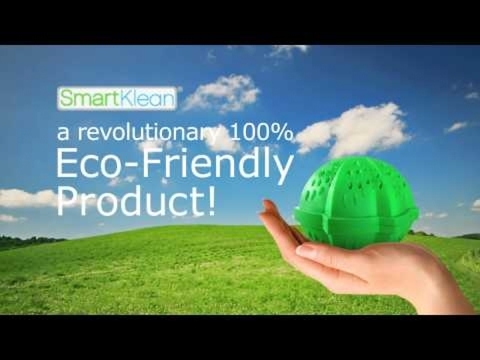 SmartKlean is compatible with High Efficiency (HE) Front-Load, High Efficiency (HE) Top-Load, Traditional Front and Top-Load washing machines. One Laundry Ball can wash loads up to 18 lbs / 8kg, which is the standard capacity for washing machines. For larger loads up to 36 lbs / 16 kg , two Laundry Balls are recommended. SmartKlean will clean whites effectively but does not contain any optical brighteners or bleaching agents. Although bleach can be used with the laundry ball, we highly recommend against the use of this hazardous product for a number of environmental, health and safety reasons. If having brilliant-white laundry is very important to you, there are several alternative and inexpensive methods to bleaching without toxic chemicals. To maintain whites, many eco-friendly laundry detergents simply use hydrogen peroxide in their formulas to act as a mild whitener on laundry. You can purchase 3% hydrogen peroxide (clear) and pour a cup of it in the soap dispenser during the wash cycle. Add a cupful of lemon juice into the soap dispenser during the wash cycle. This acts as a mild whitener. By placing these articles under the sun it will strengthen the bleaching effect of the lemon juice and leave your whites ultra-white!